2017 was a record breaking year for the Pingree Grove Fire Protection District. 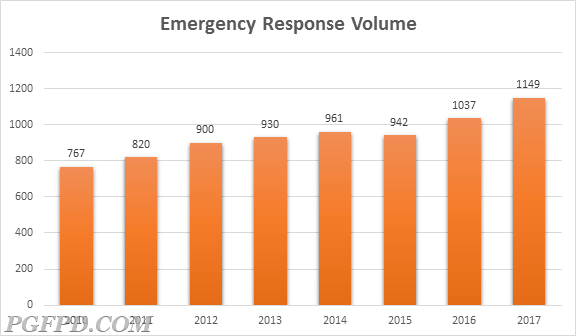 Having responded to only 767 emergency calls in 2010, we have increased our call volume to 1,082 emergency responses in 2017. With the impending residential growth planned for our district, we expect these numbers to keep climbing. We strive to continue providing high quality service to the citizens of Pingree Grove and the Countryside.